Customer looking for a HP UPS and knows the APC model? It’s easy to offer a competitive quote in HP iQuote. 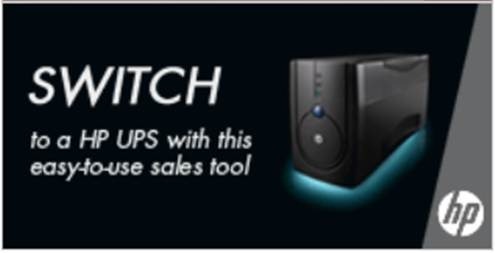 European Users: simply go to the Resources Page and click on the link: APC vs. HP – UPS cross-reference. Using Google Docs we present in HP iQuote an Excel Spreadsheet that maps APC products to the HP equivalents. It’s very easy to use and provides a few bullet points on where HP excels. To make it easier to locate we’ve put a Banner Advert under the Validation Checklist in the quotation – click on it to jump to Resources.